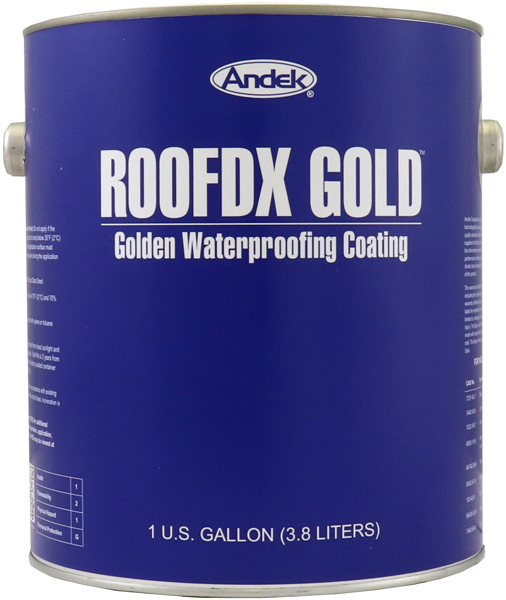 ROOFDX GOLD is an extremely tough, rubber-like, waterproofing coating that has a stunning golden finish with exceptional elasticity. 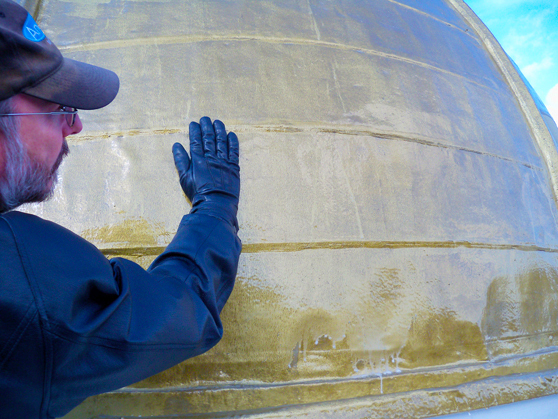 This remarkable “liquid gold” coating can be used over all common roofing substrates and will give a golden, metallic, rich luster to the roof at a fraction of the cost of gold leaf. 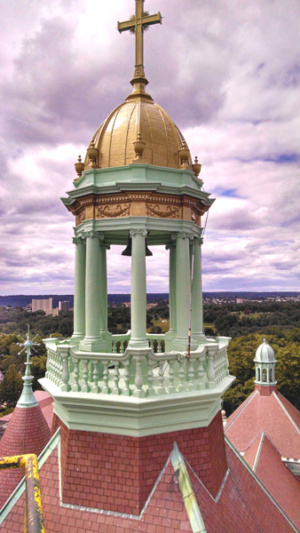 ROOFDX GOLD may be sealed with a topcoat of CLEARCOAT 44 to provide an extra shiny, brilliant appearance and preserve the bright finish otherwise a natural patina will develop in time. Provides an antique golden finish. Protects substrate against rust, corrosion, UV damage, acid rain and water penetration. Produces a high-density, seamless elastomeric waterproof membrane for maximum durability. Straight forward application procedure by brush, roller or airless spray. Remains flexible, tough and weatherproof at low temperatures and will not flow or deform at high temperatures. Without clearcoating, the finish may be accelerated to form an attractive, bronze statuary appearance. Will provide an appropriate substrate for future gold leafing. Can easily be recoated at any time for repairs for lifetime extension. 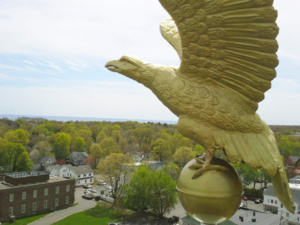 Ten year material warranty that may be extended with re-coating. Do not apply ROOFDX GOLD to wet, damp, or frozen surfaces. Do not apply if the area cannot be protected from precipitation for at least 4 hours after application. ROOFDX GOLD is applied directly out of the container after at least 2 minutes of low speed drill stirring. Do not thin the product. Apply in 2 coats using a soft brush, medium nap roller, or airless sprayer in a smooth, even technique. Store in a dry area and protect from direct sunlight and freezing. Keep container tightly sealed. Shelf life is 2 years from date of manufacture when stored in a factory sealed container between 45ºF (7ºC) and 90ºF (32ºC).